Why go? For an easy seaside break that doesn’t compromise on urban comforts. This is a getaway where there’s plenty to do – but if you did nothing much you’d still go home contented. Best for: Lovers, city slickers wanting a quick dose of nature, active types who enjoy beaches, boats and watersports. Poole is home to Europe’s largest natural harbour, with three miles of Blue Flag beaches and a typically British mix of toffs and toughs. Sunseeker yachts are built here and Sandbanks is wall-to-wall millionaire houses, but there’s also that classic seaside of garish amusements, tacky shops, parties of leather-clad bikers and seagulls eyeing up your chips. The look: Inviting – the Hotel du Vin occupies a red-brick, creeper-clad Georgian mansion house built in the 1770s for the Mayor of Poole to entertain guests. While Poole has its fair share of eyesore architecture, this little hideaway sits in the Old Town next to a pretty church and a cluster of heritage buildings including the splendid twin-staircase Guildhall dating from 1761. The 38 bedrooms come in a jumble of shapes and sizes – some have a terrace and others are in the separate-entrance Mill House, which was once a sweet shop. Whatever you pick, comfort levels are high with fluffy towels and dressing gowns, roll top baths, rain showers, Miller Harris toiletries and tea/coffee facilities. 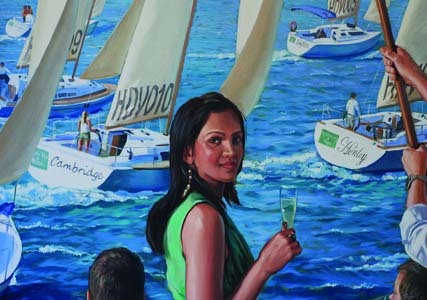 The reception room has a vivid mural depicting the Poole good life (staff were used as models) and the service is friendly and efficient. I’m hungry… The Hotel du Vin collection has made a worthy name for itself through its French-style bistros that offer an appealing mix of hearty and affordable fare, including a choice of plats du jour, desserts at £6.95 and an engaging wine list. In this one the restaurant is set at the back on a lower level with wooden floors, clubby furniture and an inviting outside terrace for when the weather cooperates. It fills up at weekends with both hotel guests and non-residents, so popular specials like lobster and monkfish may well be sold out by 9pm. Don’t worry, there are also many fail-safe options, such as moules frites (£14.75) and ribeye steak (£24.75), with house wines starting at £18.50. Cooked breakfast costs £14.95 whether taken in the restaurant or your room. When you fancy a change, there are two good fish restaurants a short walk away: the French-themed Guildhall Tavern (guildhalltavern.co.uk) and Storm (stormfish.co.uk), serving owner-caught fish in a warmly rustic space. Book in advance. And, of course, there’s plenty of pubs and fish and chip shops on the nearby quayside. While you’re there… Take the chain ferry (sandbanksferry.co.uk) from Sandbanks to Shell Bay to enjoy the sandy beaches bordering Studland Bay. This is prime National Trust territory (nationaltrust.org.uk/studland-beach) with orderly cafes and facilities that are a great option for families. You can walk a stretch of the South West Coast Path (swcp.org.uk), and if you are an experienced rider go cantering on the beach (October to April only, studlandstables.com). It helps to have a car, but you can also get about with the Purbeck Breezer bus (morebus.co.uk). 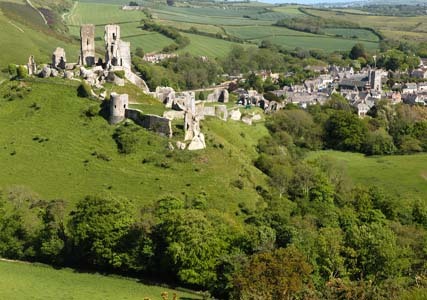 Further afield, take a stroll up to the impressive ruins of Corfe Castle (nationaltrust.org.uk/corfecastle), and seek out the “lost village” of Tyneham (tynehamopc.org.uk) which was evacuated in 1943 then kept for military use until the 1970s. Dress code: Gently sparkling. Most diners in the restaurant make an effort – think neatly ironed striped shirts for the men, and animal prints, white trousers, fancy knits and heels for ladies. 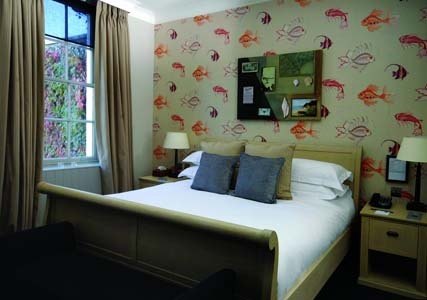 Book now: Hotel du Vin & Bistro Poole, The Quay, Thames St, Poole, Dorset, BH15 1JN (0844 748 9265; hotelduvin.com). In September double rooms cost from £125. Wifi is complimentary, parking £10 a night. A taxi from Poole rail station takes ten minutes and costs around £5. Info: Slow Dorset (£14.99; Bradt) is an in-depth guide to the county, which is also the setting for many Famous Five adventures in the children’s books of Enid Blyton – for a guide see here. 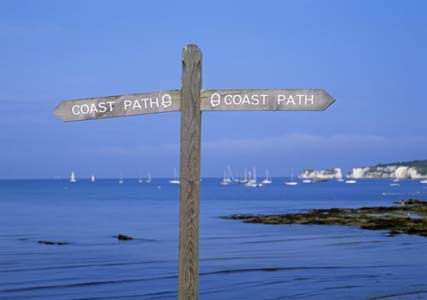 Useful websites are pooletourism.com and visit-dorset.com.